There are endless theories about what happened to Arya Stark in the last episode of Game of Thrones. But whichever one fans believe, one thing is for sure: Arya’s storyline is not ending with a death anytime soon. But a girl is still on the run from the Waif, and how long can she survive on her own with multiple stab wounds and a Faceless man on her tail? Probably not long. Unless she gets help. There’s always the actress, Lady Crane, who Arya saved in a previous episode, but there’s also a more unlikely, presumed dead source. Game of Thrones fan site Watchers on the Wall uploaded photos for the upcoming episode No One. But the one that caught attention shows the Waif with a dagger and the silhouette of a man behind her. 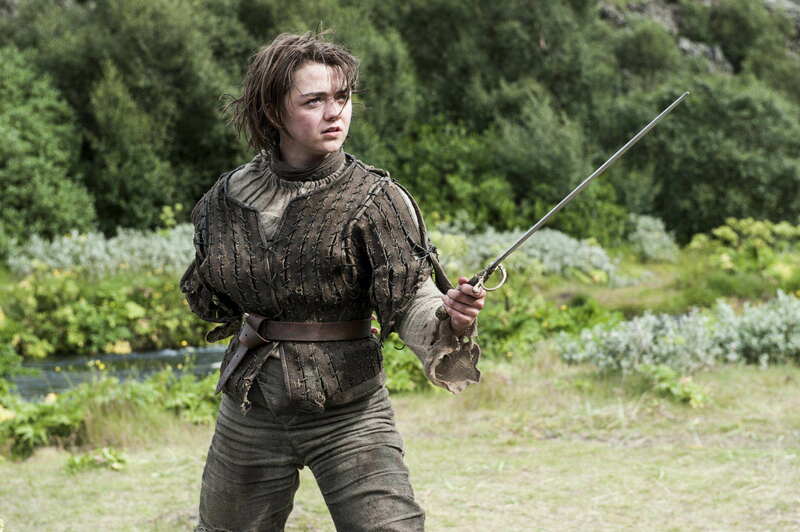 And fans have pointed out some likeness to Arya’s water dancing teacher from season one, Syrio Forel, Mic reports. Syrio, who was originally from Braavos, was last seen in season one, facing off against Ser Meryn Trant to protect Arya from being taken by the Lannister guards. Arya believes Syrio is dead and that Meryn killed him, but fans have never been quite certain that’s the case. And judging from this Reddit threat, fans are clearly on board with the theory that Syrio has made his return. Syrio’s return six seasons in would definitely be quite a shock, but with resurrection being a primary theme this season – with Jon Snow, the Hound, and Benjen Stark all coming back – it wouldn’t be completely out of the question. It certainly helps the theory that Syrio’s presumptive death occurred off-screen, and therefore may have survived. It’s also been theorised that Syrio is actually Jaqen H’ghar – but it’s worth nothing that this theory was shot down by the show-runners. But because HBO didn’t actually release the photo themselves, the theory – like most others – should be taken with a grain of salt. If it were real, I’m sure Game of Thrones fans everywhere would be thrilled.